I just reviewed this wine a little over four months ago. I normally don’t retaste and rereview wines in such short order, but we drank this one over Christmas while visiting my parents and I perhaps didn’t give it all the attention it deserved. So here it is again, hopefully with a note that’s a little more in depth. The wine in question? 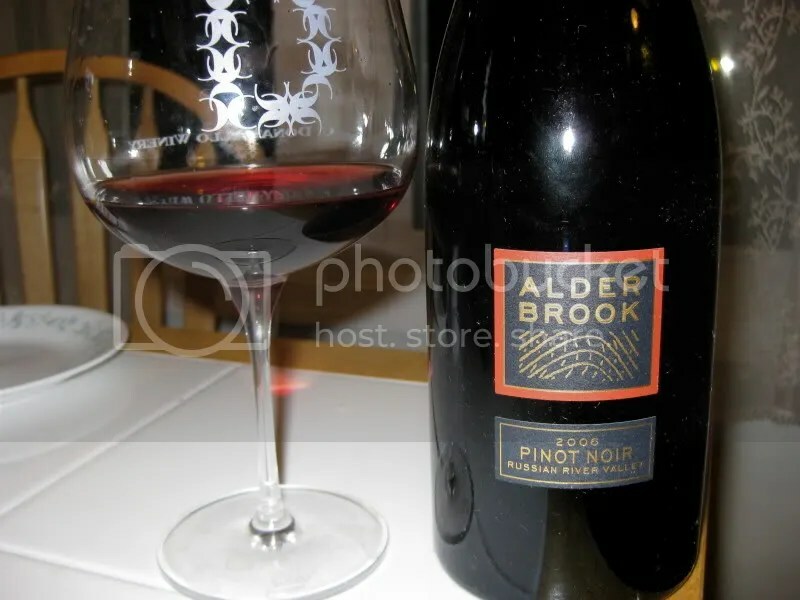 The 2006 Alderbrook Pinot Noir. It had a real cork closure, clocked in at 14.3% alcohol by volume, and cost me $24.60 in a club shipment. My first note on this one? Matt likes it. That’s worth noting given he usually doesn’t provide an opinion unless hounded! 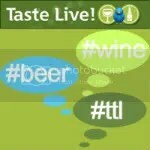 On the nose I found cranberry, spice, cedar, strawberry, mint, herbs, some earth, chocolate, and cherry. In the mouth I got flavors of cherry, cranberry, strawberry, nice oak influences, some herbs, a bit of earth, but mostly clean red fruit. 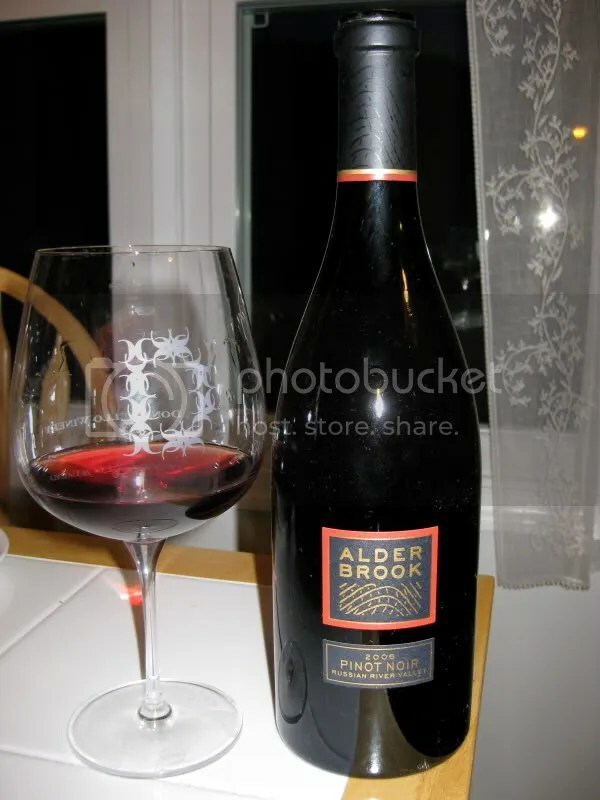 Overall, I would describe this wine as having very clean red fruit and being ready to drink now.